As I turned to walk toward home, I saw the long white mark in the sky. The beautiful blue background made it very noticeable. A jet had made it’s mark against the backdrop of today’s seemingly endless blue skies. As I gazed upward, the stripe began to grow a little hazy, it’s lines less defined. It became lighter and within a few moments, it was gone. I recalled watching these streaks in the sky until they disappeared when I was a child and wondered why I was so attracted to this fading puff in the sky. 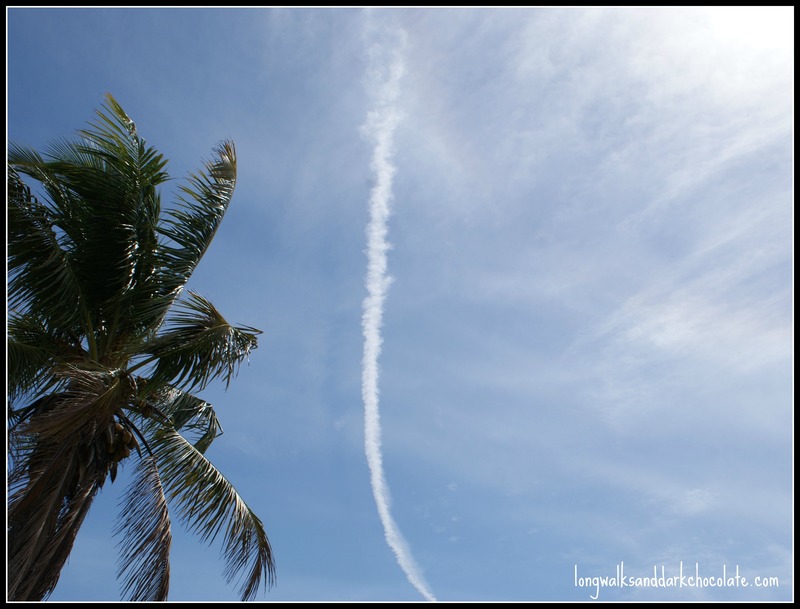 After all, it doesn’t really leave much of a mark, just a temporary trail; they are actually sometimes called “vapor trails”. It’s presence is fleeting. It is big, bold and powerful, for a moment…..but quickly gone and forgotten. “Leaving a mark” stuck in my mind and the wheels began to turn. What is my mark, I pondered? I would hope that it would be colorful, not plain old white, which my 4 year old granddaughter would quickly tell you, is the absence of color. She has smart parents, but I digress. I want my mark to be big and bold, but more importantly, lasting and worthy of repeating. I don’t want it to be meager and shallow, but significant and deep. Every single one of us is leaving one. Aren’t you glad to know that if you started out faint and superficial, you have time to broaden your stroke? If you have left black, ugly marks, there is still time for healing. If you feel you haven’t left much of an impression at all, you can begin to color and embellish. Additionally, we can also choose to overlook the marks left by others and encourage them to paint over and start fresh. Let’s leave marks of kindness, faithfulness, generosity, compassion, integrity, patience and above all love.